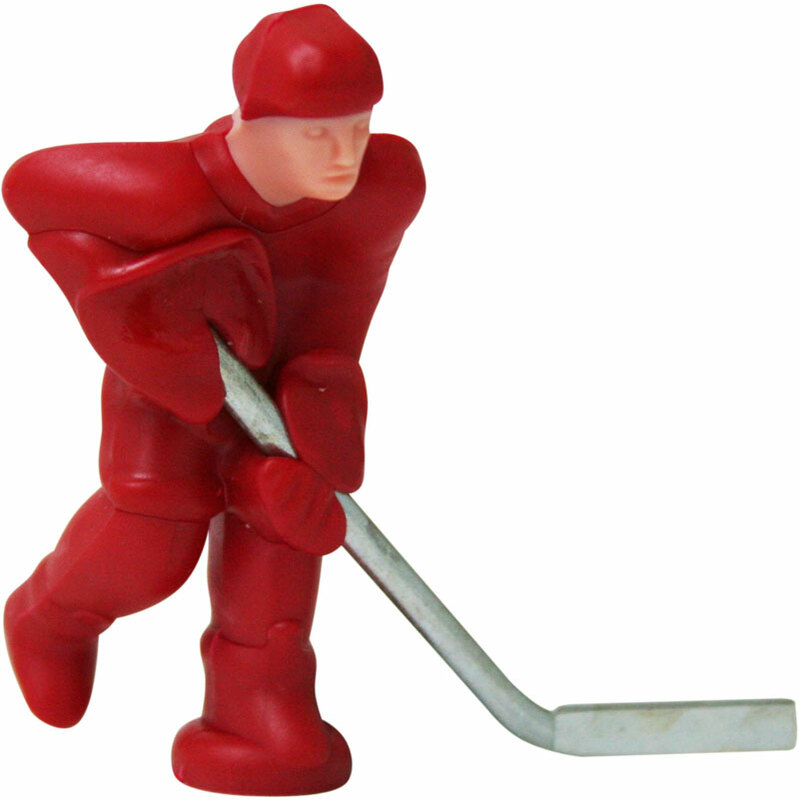 The Stiga ® Hockey Game Spare Teams are available for Russian, USA or Canadian International Stiga hockey figures. Set consists of 5 players and 1 goalie. Country name on back of jersey. Suitable for use with the Stiga Stanley Cup and Playoff hockey games. We were very happy with the Stiga Hockey international teams. We needed them for a cake topper for my sons birthday as he loves ice hockey so these were perfect. They still play with them now just on the floor and we are thinking of buy them the full game for christmas so may be buying from you again nearer the time. Your postage and packaging were excellent and the item was delivered on time as you promised therefore i would definitly order again from you and recommend you to other people. Thanks again.